The Muladhara governs your family ties and feelings of survival, belonging, and guardedness. Your earliest memories are stored here, including whether or not your basic needs were met. When it is blocked or out of balance, you can become needy, have low self-esteem, or have self-destructive behaviors. When Muladhara is in balance, you feel strong and confident. This chakra corresponds with your reproductive and sexual organs, and represents fluidity, creativity, and fertility. You can take a literal interpretation of this, or associate this chakra with whether or not you feel deserving of a pleasurable, abundant, creative life. When it’s out of balance, you can feel emotionally unstable, guilty, or hard on yourself. When Svadhisthana is in balance, you feel creative, positive, and receptive to change. When the Manipura is in balance, you feel alive and have the self-esteem and confidence to take action and be productive. When it’s blocked, you lack courage, have low self-esteem, and feel stagnant and inert. By working on this chakra, you can awaken your true personal inner power and work through your fear of taking risks. Awaken to the power of unconditional love within you through compassion, forgiveness, and acceptance. When the heart chakra is blocked, you become possessive and codependent, and may form dysfunctional relationships. You may also stay isolated for fear of rejection. When you stimulate the Anahata chakra, you can heal past wounds by reopening your heart, learn to love unconditionally, and form healthy relationships. When Vishuddha is blocked, you may feel like you can’t find your voice or your truth. You may also be overly talkative and not listen to others. When this chakra is open and stimulated, your voice moves through space to help you communicate your emotions in healthy ways. You also become better at listening to others and honoring their personal truths without judgment. This chakra is associated with your intuition, or sixth sense, and governs how the rest of the chakras function. When Ajna is functioning well, you have insight, and you trust your inner wisdom to face life’s challenges and choices. When it’s blocked, you feel close-minded, too attached to logic, untrusting, and cynical. Working on the sixth chakra opens your mind to the bigger picture and different perspectives, and it helps you receive the wisdom that cannot be seen or heard by ordinary senses. The Sahasrara connects to beauty itself and the spiritual realm. It helps you to understand who you are beyond your physical self—that you are a spiritual being having a human experience. It is not located in the body but actually hovers above the crown of the head. When it’s closed, you think happiness can only come from the outside, and you suffer. 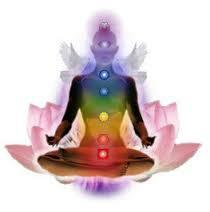 Working on this chakra helps you to feel free in any situation. 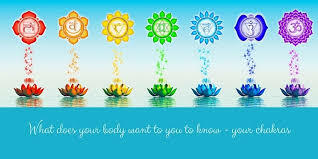 Stay tuned, as I will be posting more information about each chakra separately to provide you with mindfulness techniques that you can do to help maintain your chakras well balanced.